No one likes a rule breaker..
1. 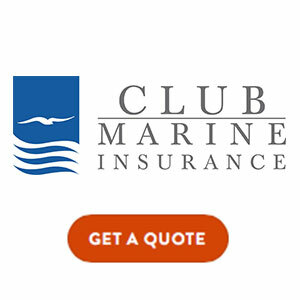 All boats fishing in the Gold Coast Flathead Classic must have a current boat insurance policy. It is advised that you have your policy cover details with you when you are fishing the event for easy reference. 2. A team will consist of a minimum of two persons and a maximum of three persons. Junior teams are permitted provided they comply with QLD maritime regulations. 3. Persons other than fully paid entrants in a vessel must have the approval of the tournament committee. Any action construed as assistance to the angler or anglers by anyone other than a fully paid entrant by any means whatsoever will cause team disqualification for that day or possibly the tournament. 4. This is a Catch and Release competition only. All species of Fish must be released alive. 5. Only artificial lure or flies to be used. Under no circumstances are dead or live baits to be used. 6. No burley is to be used. Although commercial scents are permitted. 7. Flathead of 40cm + and other species in consideration for the longest fish category must be photographed with a digital camera. These pictures must be made available to the tournament committee upon request. 8. All fish must be photographed on a tournament sticker, that is fish lying on top of the sticker. In addition, you must have your allocated token for the day in the photo, with your tournament ID. 9. Teams who lodge a daily score of 700 points or more or any individual angler whose daily score is 450 points or more must submit their photos of Flathead 40cm or greater with their score sheets. All photos taken by all anglers must be retained until the end of the competition. In case of a countback, photos must be submitted on request. If no photos can be produced all claimed points will be invalid. 10. All Other Species must be QLD legal length to qualify for recording purposes and must be photographed on the tournament sticker. 11. In the event of there being two or more fish of equal length qualifying for the longest fish (Flathead or otherwise), the first fish caught will be declared the winner. 12. No gaffs to be used to capture fish. Fish friendly nets (knotless / Enviro-nets) are recommended. 13. This Tournament is open to all line classes and line types. i) The area extending eastwards from the Seaway Tower directly north across the Seaway. ii) From an imaginary line that runs in line with the trees on the bank and the Q1 building. 15. All team members are to be in line of sight from their team mates when fishing from the shore. 16. All team members must fish out of the same boat. It is permissible to have two teams fish from the same boat (e.g. two teams of 2-anglers). 17. The maximum rods in use at any one time is one rod per angler. Thus, three rods in use at anytime for a 3-angler team, two rods in use for a 2-angler team. Anglers must set, cast, attend and retrieve their own rods. It is anticipated that equal fishing opportunity will result in approximately equal scores for each angler in the team. Having one angler in the team “on strike” will be viewed unfavourably by the Tournament Committee. Having one angler “On Strike” will be viewed unfavourably by the tournament committee and may result in disqualification from the event. 18. Protests of any nature must be brought to the attention of the Tournament Committee or Marshalls on the day of the incident. 19. All decisions made by the Tournament Committee concerning rules, prizes and trophies are final and no correspondence will be entered into. 20. Strictly no private alcohol is to be brought onto the Tournament Site and no alcohol purchased is to be taken from the Tournament Site. 1. A number of Senior and Junior competitors’ names to be drawn daily at the briefing. 2. Individuals do not have to be present at the time of the draw on Tuesday, Wednesday and Thursday night. 3. For the final draw on Friday evening, all competitors must be present. Failure to be present within 30 seconds of your name being called will result in disqualification and the draw will be continued until all places are filled. 4. Names will be drawn at random from those drawn each night, with prizes awarded in decreasing order, until the last person remaining in the draw will be awarded the major boat prize. 1. Each day competitors names will be selected based on a mystery time. All competitors selected will be placed in a barrel for a prize drawn that day. Prizes will be handed out on the day. If you are not present to receive your prize the draw will be repeated. 2. All decisions made by the Tournament Committee concerning prize draws and prizes are final.